At Aidan Garlington we’ve gained an enviable reputation in recent months as leading experts in hair colouring, hair conditioning and hair colour refresh treatments in central Bristol. And with September upon us, it’s a great time to offer our old and new clients another seasonal and well-timed exclusive hairdressing blog offer – end of Summer hair colour refresh treatments as the hotter weather cools down. One of the key elements of a successful and gorgeous hair colour refresh is to provide a client with a sharp and stunning hair colouring refresh service after sun bleaching in Summer months. At the end of Summer, clients with coloured hair can comfortably opt for a tonal refresh and gloss hair treatment – and our unique Colour Bar is the ideal solution for fast and easy hair colouring services in central Bristol. Prices start from just £15 at our Colour Bar, and appointments are not always necessary – although advisable, as the Colour Bar is very popular. If you’re not sure whether you need to pre-book or not, due to the volume of clients we have in, or if your hair needs more colouring treatment than just a quick refresh, why not contact us for an informal consultation in September? Our expert hairdressing team are here to help you and give you the very best hair advice at all times. Pop in to see us at our Baldwin Street hair salon, see our stunning, unique Colour Bar for yourself, and chat with our team of expert hair colouring stylists about how we can give your hair the best colour refresh as the Autumn season begins. 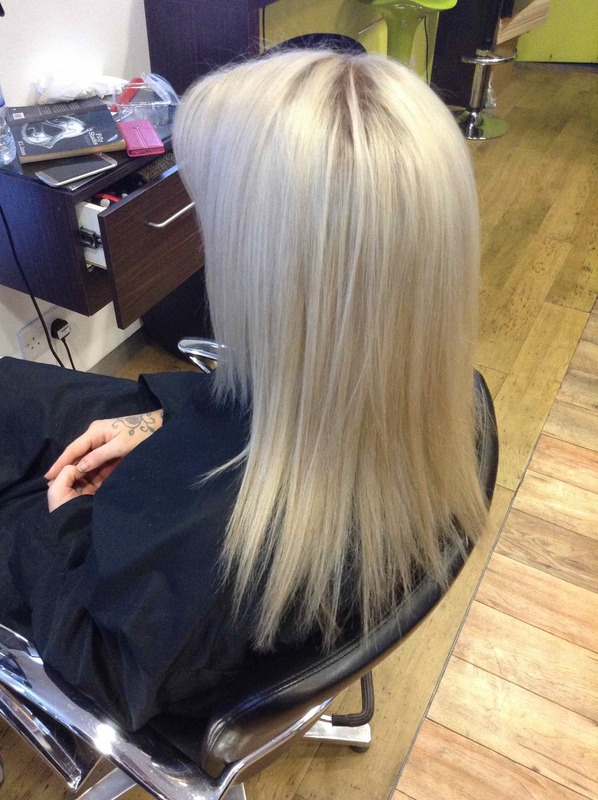 To see the full range of hair restructuring products, hair treatments, beauty treatments, hairdressing, hair extensions and hair colouring services we offer at our central Bristol hair salon, please get in touch here. At Aidan Garlington we take the condition and health of our client’s hair as seriously as the quality and look of each hairstyle we deliver in our Baldwin Street hair salon. So, it’s always a pleasure to be able to offer clients new, superb hair treatments and professional hair treatment from leading global hair product brands. And that includes the Smart Bond range from L’Oreal. Our new range of Smart Bond hair products from L’Oreal deliver hair rehydration and hair restructuring similar to the Olaplex hair products. 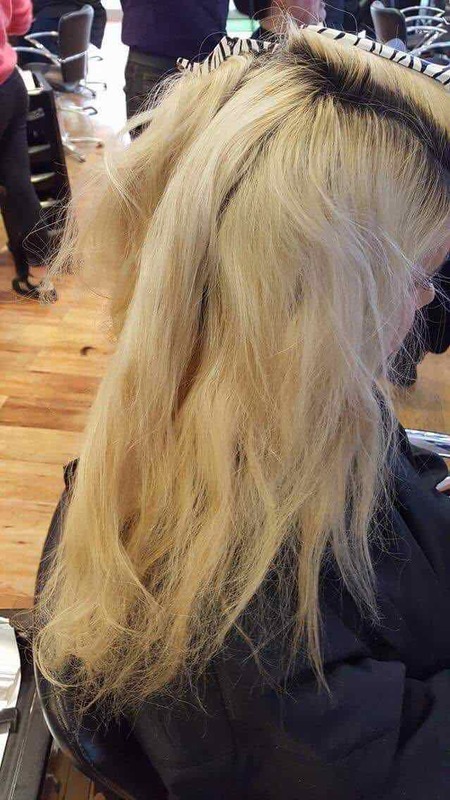 We’re one of the first hair salons in central Bristol to be offering Smart Bond hair restructuring products to clients, and we’re really proud to be a L’Oreal hair salon in Bristol. We also stock other leading hair and beauty brands. 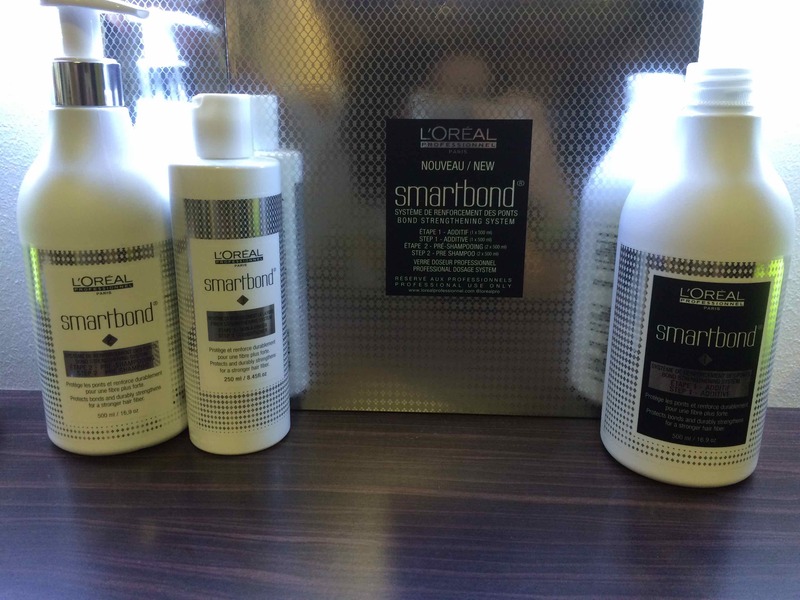 One of the biggest benefits of using L’Oreal Smart Bond products is that it can be added into a hair colour service without any adverse effects, but can also be treated as a stand-alone hair restructuring service if required by a client. Because it’s a L’Oreal range of hair products, it can be added into colour at stage one of the process for longer, and is fully compatible with any other L’Oreal hair products. L’Oreal guarantees the quality of all Smart Bond products, which gives our clients added peace of mind when using them. To celebrate the launch of Smart Bond hair restructuring products at our Baldwin Street hair salon, we’re giving clients a special offer. Any client using our new Smart Bond hair products with a colour service will also get a take-home product included in the price – for only £20 (extra to the cost of colour service) get a free take-home product worth £16.99. Simply mention this blog post when you book your colour service with us.